We have made a lot of cool prototypes and there just ain’t enough time to finish them all! So we have collected a few (11 to be exact) and put them all up for public scrutiny! 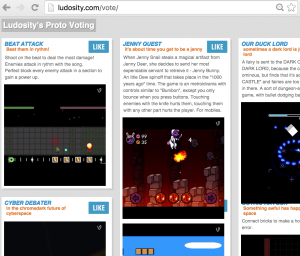 Launching today is ludosity.com/vote where you can watch vines, read descriptions, and vote on which prototypes you like! We’ll collect these likes over the holidays now and keep an eye on the feedback we get. The site randomizes the order the games are shown in to make it as fair as possible. You can vote on all of the games or just one. Hope you like them! 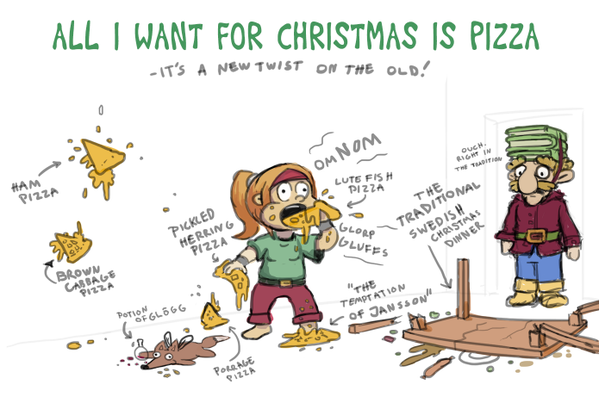 =) See you after the holidays again.